Earlier today Marketo agreed to be acquired by Vista Equity Partners for the cool sum of $1.79 billion which works out to $35.25 per outstanding share. Vista has its eyes open and Marketo is a public company with fiduciary responsibility to maximize shareholder value (a logical construct that I have always questioned). So let them go and do what they do, but to play devil’s advocate, I think someone made a mistake. First, there’s the obvious question: How does Vista make money on this long term? At some point they’ll want to sell Marketo at a higher price but that suggests there will be such a “greater fool.” But is there? In the last several years all the major CRM vendors have bought up the independent marketing tools and folded them into their suites. Salesforce had been rumored to be the most likely candidate to buy Marketo just before it surprised the world and bought Exact Target instead. Today Salesforce doesn’t need a marketing product, thanks, just the same. Ditto for Oracle, which bought Eloqua to kick off the buying frenzy. Other vendors, SAP, Microsoft, etc. are fine too. Sugar could use a high quality marketing automation solution to round out its offering but at nearly $2 big ones it’s hard to see that combination happening. So the question of who is a likely buyer becomes very important. Suppose the likely buyer doesn’t exist yet; suppose that the best fit for Marketo is a new CRM suite that will be cobbled together from spare parts by Vista. That could happen but if so the prospect of a synthetic new vendor would mean spending billions more to assemble the suite and millions more to make it all work. That’s like starting the Indy 500 by spotting the competition 450 laps. It doesn’t make a lot of sense to me, but I’m just an analyst. I can’t really think of a third option unless it’s using Marketo as the seed crystal of a new category of front office products whose business model revolves around marketing and lead development. That would give you a broadcast-advertising model that leverages audience development with targeted message development. This isn’t such a bad idea but it isn’t exactly new either and the existing front office players each have salient in this area too. Thus we’re back at the Indy 500. I’ve always thought highly of Marketo. They spent a lot of time and effort, not to mention capital, building a new idea about analytics based marketing. The idea was new and foreign in most circles when they got started but it has become mainstream. In all of this you’d have thought some other CRM company would have bought Marketo before this because it would have been a good fit for several possible suitors. But that didn’t happen and Marketo found itself in a game of musical chairs without a clear future. Stand-alone marketing appears to be a declining phenomenon. So now Vista no doubt has a plan and it will be interesting to watch it play out. Almost forgot. The re-IPO strategy is a more likely scenario but then you would have an improved balance sheet, a tidy company, and a higher valuation to sell the stock. But even if this strategy works to perfection you will still have a stand-alone marketing automation company. The overall impression I got was that modern, statistical and analytic marketing is still in its early phase though few people I know need to be convinced about its usefulness and efficacy. You could see evidence for this belief in the products and product introductions, the breakouts, and in the speeches. First the speeches. In addition to CEO Phil Fernandez’s keynotes there were appearances by Democratic presidential front-runner, Hillary Clinton and GE’s powerhouse CMO, Beth Comstock. Each woman’s appeal to the largely female audience was obvious. They are role models for many and an inspiration for any woman wanting to climb the greased rope of corporate success. Each spoke about the challenges of being a woman in business today but I thought Comstock came closest to the mark when in the context of marketing she said that sometimes you simply need to give yourself agency to try something. That’s an avenue not as easily exploited in politics where as Clinton pointed out consensus building is important and sadly absent today. The theme of the event was innovation and while Clinton, who spoke on Day 1, is no technology expert and not a marketing professional, her vast practical experience in modernizing the State Department by embracing the Internet and social media and her knowledge of how to sell an idea, which was honed in decades in the political arena, provided a great foundation for discussing innovation in a broader, national context. Clinton’s message concentrating on the truth that we are all people and that we need to coexist was not lost on the men in the audience either. Comstock spoke on the second day and gave a more focused discourse on what it means to be a modern marketer in one of the largest, most innovative, and geekiest corporations on the planet. Her message was that marketing has to take the lead in inventing itself, to find markets and opportunities for innovation in order to take its rightful seat at the boardroom table. She told of instances in GE’s diverse portfolio from jet engines, to locomotives, power systems, and healthcare where marketing found product opportunities and developed markets for them. The keys to success — and there were several — included bringing business ideas where marketing can quantify results and not simply existing to produce content, a message well in line with Marketo’s ideas about marketing. At the keynote level, Fernandez allowed himself a brief moment on stage to take in the company’s success symbolized by the throng in the hall. The company introduced new and improved products for calendaring, SEO optimization, and personalization, all of which are in demand as building blocks of modern marketing. Fernandez also hammered on the continuing need for innovation in all things marketing related as companies continue to face great challenges driven by the pace of business and the ferocity of competition. When it got to the breakouts, and I didn’t go to all of them, the vibe seemed to be how to help marketers to do more than adopt the basics and to exploit the breadth and depth of marketing automation. This is no surprise for any breakout session but for a still new market that is past its early doubters but still gaining altitude in the executive suite, the sessions offered practical advice for things tangential to marketing such as how to work better with sales. There is a great thirst for this kind of knowledge and knowhow among marketers. Especially illuminating to me was the amount of discussion about marketing’s interface with sales and for me this was troubling, not for marketing but for sales. Of all the disciplines in CRM today, sales appears to me to be the one that has changed least over time and that’s not good. Sales is the practice area least affected by CRM, where people are still allowed to fly by the seat of their collective pants. I say this not to be provocative but to bring together several threads. First, the urban myth that sales force automation does not work refuses to die, second, according to CSO Insights, half of all organizations surveyed still don’t have a recognizable and implemented sales process. Third, and perhaps most troubling to me, too often the discussion between marketers has turned to questions of how can we effectively work around sales if it insists on its recalcitrant ways? Too much of marketing automation’s effort seems to be in devising ways to capture customer data that provides the feedback that sales ought to be giving. At least that’s what I saw. My concern for sales is that it will remain stuck in its rut too long and that market forces like the automation provided by ecommerce and subscription sites augmented by the information flow provided by marketing, will serve to make selling and its practitioners redundant. As markets and categories mature a certain amount of retail-ization of the sales function is inevitable. However, sales people who are still avoiding formalized processes and technology are making the inevitable too easy. The sales function was not on trial at the Marketo event but as an analyst I routinely look at what is and wonder how it will evolve and my conclusion left me wondering about the future of selling. 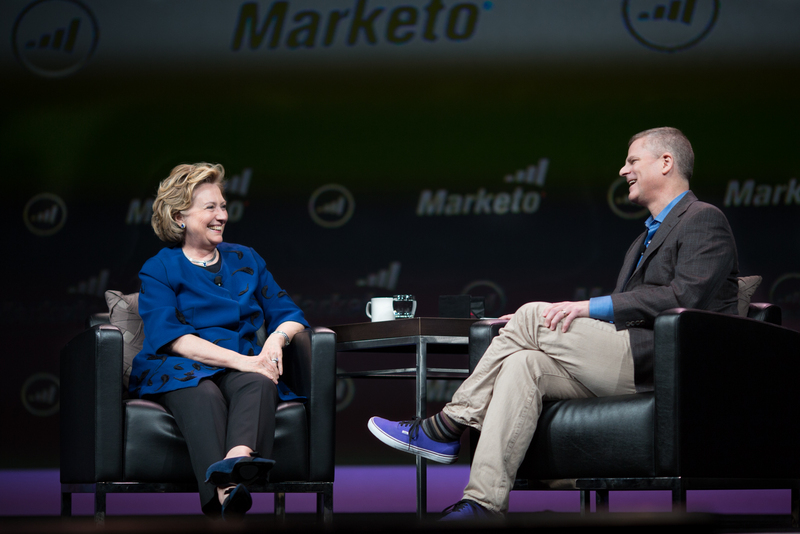 Day one of the Marketo Marketing Summit 2014 was highlighted by a speech by possible presidential candidate Hillary Clinton who spoke about the intersection of social media and the Internet during her tenure as Secretary of State. Clinton is no technological light weight and gave example after example not only of how the State Department adopted modern communication methods, but she also showed where we collectively as a technological society need to go in not only communicating but in leveraging technology. As a speaker she graciously stayed on the topic, innovation as applied to marketing. Perhaps that’s not her sweet spot but she stuck with it and it impressed the audience. 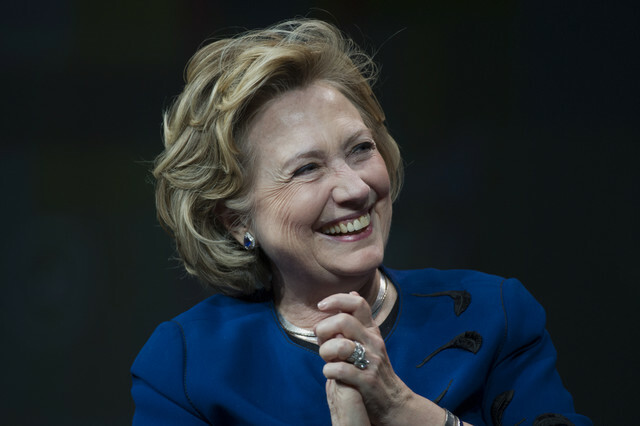 Marketo CEO Phil Fernandez was happy to serve up a mix of hardball and softball questions in a discussion after Clinton’s speech, which she handled with good humor, even the inevitable are you running for president question. Here I thought Fernandez got further than most professional journalists whose questions have been successfully parried by the non-candidate and Democratic front-runner. Answering Fernandez Clinton said she was “Thinking about it.” Such is the stuff of reading political tealeaves. If you ever doubted Clinton’s appeal you should have been in the mostly female audience for whom Clinton is something of a hero and a role model. 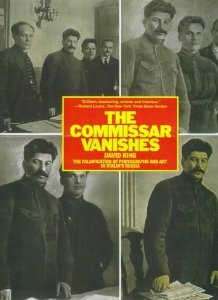 Her comments were designed to appeal to the audience of mostly center left people and women. For instance, when asked about immigration and jobs her response was a measured, let’s form public-private partnerships. And although that’s a good idea, it skirts somewhat the larger issue of getting the economy moving again. I would have liked a response like that but then again that’s the kind of thing a candidate proposes, not a private citizen. Alternatively, perhaps that makes me somewhat left of left. I dunno. Day two starts shortly and I expect to get more detail on Marketo’s many announcements.